Dr. Phil Harber is a Professor of Public Health at the University of Arizona's College of Public Health. He is also professor emeritus at David Geffen School of Medicine at the University of California Los Angeles (UCLA), where he has served as chief of the Division of Occupational and Environmental Medicine. 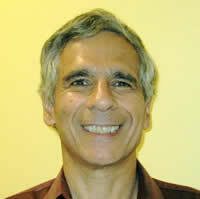 He has a limited clinical practice, and consults for program development and evaluation. He has published over scientific 300 articles, chapters and abstracts; his major research interests are occupational lung disease, workplace physiology, computer applications, and occupational health delivery systems analysis. Dr. Harber also has served in national roles including Chairman of the Centers for Disease Control and Prevention (CDC)-National Institute for Occupational Safety and Health (NIOSH) IRG (study section) and Vice Chairman of the RRC for preventive medicine of the Accreditation Council for Graduate Medical Education.